Your vino needs to react with air to reveal its fullest flavor and bouquet. 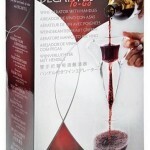 Vinturi recognized this fact first and developed a way to rapidly oxidize wine in seconds. Both utilize the Bernoulli (a Swiss scientist) effect where the reduced pressure of a stream of fluid draws an air flow through diagonal thin tubes inside the aerator. 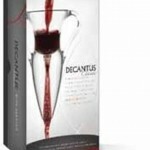 The wider opening on top and larger liquid capacity of the top reservoir bowl makes pouring into DECANTUS™ much easier than with the Vinturi Aerater. 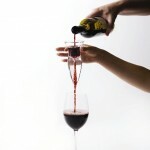 Wine travels faster through it without a whirlpool effect, because of the vertical planar insert. 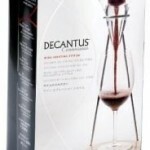 The “froth” from DECANTIS™ has finer bubbles giving smoother aeration than any other aerator on the market. Statistic tests show a significantly better aeration rate along with a 56% decline in sulfite levels!